This year’s top digital cities have developed a mature infrastructure that lets city leaders experiment with technology projects that are molded in the image of the average citizen's lifestyle. Click points on the map above to learn more about each winner. Red indicates 1st place winners, blue indicates 2nd place winners, green indicates 3rd place winners, and yellow indicates winners that placed 4th through 10th. This information is also included on page two of the story below. 1st place // City of Philadelphia, Pa.
A savvy mix of data-driven citizen engagement, tech modernization and outside-the-box thinking powered Philadelphia to its first-place ranking. A new city website launched last year is designed to provide new levels of user convenience. For instance, three navigation options are squeezed into the top of the site — a search bar, a list of common actions like "report a problem" or "pay a bill," and a menu of city functions arranged topically — giving citizens multiple ways to find what they need. The site was created using agile principles, launching as a work in progress in December and shaped by user feedback. The city also is broadening its use of open data as a citizen-engagement tool. A new generation of civic apps relies on open data sets to give residents easy access to property tax calculations, property ownership information and detailed maps of various city resources. These improvements in customer-facing services have been facilitated by upgrades to back-end systems that are improving reliability and reducing staff support requirements. The city estimates that half of its IT systems now are procured as a service. Finally, an interesting pilot involving the city IT department and a local middle school is aimed at drawing more kids into STEM-related careers. Students met weekly in the city Innovation Lab for a series of hands-on experiences led by members of the Philadelphia Office of Information Technology. 2nd place // City of Los Angeles, Calif. Second-ranked Los Angeles is developing a new model for funding innovative ideas, leveraging private-sector platforms to improve services, streamlining internal processes and closing the broadband gap. The city established a $1 million innovation fund late last year to seed pilot projects generated by city employees’ suggestions. More than a dozen projects have been launched so far. Through open APIs, the city trades traffic information with Google’s Waze traffic app. The app consumes city traffic data to warn drivers about closed roads, hazards and dangerous intersections, while the city transportation department uses information submitted by Waze users to identify potholes, illegal road construction and traffic patterns. MyPayLA, launched by the LA Controller’s Office and the city Information Technology Agency, is a mobile app that lets city employees view their payroll information on a mobile device. And the CityLinkLA broadband initiative is designed to attract broadband providers to the city with expedited permitting and access to existing assets like streetlights, real estate and fiber. 2nd place // City of Louisville, Ky.
Louisville’s mobile-friendly Web portal garnered the city a second-place finish in the Center for Digital Government’s Best of the Web awards earlier this year. Now, Louisville has a No. 2 ranking in the 2015 Digital Cities Survey to add to its trophy case. Besides running an excellent website — built on the open source Drupal platform and hosted in the cloud — Louisville is equipping its entire police force with body-worn cameras and expects to be finished by the end of 2015. Video from 1,000 officers, as well as footage from Metro Watch cameras placed around the city, will be stored in the cloud. Louisville’s Metro Police Department, one of 21 cities involved in the White House Police Data Initiative, also became one of the first in the nation to release data sets on assaulted officers, arrests and citations, and hate crimes on the city’s open data portal. In addition, a public-private partnership called Code Louisville offers free technology training to local residents. More than 500 people have taken 12-week classes to learn Web or mobile development skills. 3rd place // City of Kansas City, Mo. Kansas City's Art of Data initiative may be one of the nation's most creative attempts to engage citizens through open data. The city selected 10 local artists earlier this year to turn information from its open data site into visual art. The artists pulled information from 10 different data sets, ranging from life expectancy by ZIP code to citizen satisfaction with the safety of their neighborhoods. The exhibit drew a large crowd when it opened in June, according to the city, and more than 3,000 residents eventually viewed the works of art. Kansas City also was chosen to participate in a new HUD digital inclusion program called ConnectHome, which will offer broadband access, training, digital literacy programs and devices for residents in assisted housing units. And the city is working with a local startup business, RFP365, to simplify its RFP process. Through a pilot partnership, Kansas City will use the RFP365 platform — which lets buyers track and receive bids from vendors and suppliers — to make the government purchasing process easier and more transparent. 3rd place // City of Phoenix, Ariz. The development of a new citywide transportation plan in Phoenix offers a great example of how to use digital engagement tools. Using the MindMixer platform, the city developed a website to let citizens suggest ideas for new transit services and street infrastructure, as well as discuss a range of transportation-related issues. Using polling, mapping, open-ended questions and discussion prompts, residents directly helped to develop the plan. The engagement process reached more 3,700 residents and generated hundreds of comments online. In addition, a city-led technology summit held late last year brought together big companies, small businesses and citizens to discuss how technology could improve city operations and boost economic development. And new court technology lets attorneys receive hearing notifications on a mobile device and enables Web and interactive voice response (IVR) payments for a variety of cases. 4th place // City of Seattle, Wash. The Seattle Police Department is working with local civic hackers to streamline the process of redacting police body camera video so it can be publicly released. Following the department’s first-ever hackathon in December, the Seattle PD began testing early versions of redaction tools that automatically blur video images to protect privacy. The department will work with local tech volunteers to refine the tools and eventually make them available to other departments. In addition, the city launched multiple projects to engage citizens around important issues this year. A Digital Equity Initiative enlisted local businesses, nonprofits, schools and community groups to draft a citywide digital equity vision. And two stakeholder groups are working on policies for how the city treats citizen data internally and externally. Behind the scenes, the city is consolidating 17 data centers into two and transferring nearly 700 departmental IT employees into a new central technology organization. 4th place // City of Wichita, Kan.
Fourth-place finisher Wichita put two Wichita State University students to work developing its citizen reporting app, Wichita Report, a 311-style tool that’s snagged 900 downloads without any promotion. The city displayed similar resourcefulness in partnering with the local Code for America brigade to come up with a strategic open data program that releases data assets of particular value to local developers and students most likely to turn them into useful apps. A new snowplow tracking site helps residents navigate snowy winters by tracking and mapping the paths of snow-clearing vehicles, while other improvements include a streamlined e-citation system for law enforcement and high-speed fiber that runs through the city’s storm sewer system. The connectivity boost will help Wichita effectively transmit police bodycam video to its cloud provider that will store the footage from the 600 cameras expected to be in use by the end of 2015. 5th place // City of Las Vegas, Nev.
Las Vegas is planning for innovation, as the city is looking at adding a chief innovation officer position to bridge some of the other members of the C suite, including the city manager, chief financial officer and chief information officer, a position recently vacated by Joseph Marcella after 18 years. The city is also gaining a lot of social media traction, logging a 300 percent increase in Facebook fans and Twitter followers over the past year. Social media strategy is defined by explicit internal and external policies that guide its use and minimize risks. Las Vegas is a transparency and open data leader, with an official policy and portal now ranked fifth nationwide by the Sunlight Foundation. Among the many efficiency efforts underway are a multiyear development services program aimed at using technology to re-engineer processes in favor of better service to customers, as well as an upgraded e-discovery system to simplify access to electronically stored information. 5th place // City of Virginia Beach, Va.
A detailed Master Technology Plan guides the digital activities of Virginia Beach, Va., a practice that guides the work of many winning IT departments. Thirty-two objectives are outlined, which together represent a road map for the city’s digital future within four categories: transforming service delivery, building better business solutions, strengthening governance, and improving infrastructure and operations. In order to thoroughly vet potential technology projects, the Communications and Information Technology Department is setting up an IT Architecture Review Board and an IT Investment Review Board. The city has joined the open data movement with the launch of its Open VB platform that offers unprecedented access to operating budget and capital improvement program information. Aligned with the city’s stated goal of developing the biomedical research industry in its midst, Virginia Beach is working with regional partners to explore the feasibility of bringing ultra-high speed connectivity to the area by forming a regional broadband authority. The city is also bolstering connectivity to its offsite locations by building upon existing underground fiber networks, greatly reducing outages and positioning the city for future partnerships. 6th place // City of Albuquerque, N.M.
Sixth place Albuquerque is well positioned for a mobile future, having reached the tipping point with half of its external Web traffic coming from a mobile device. Beyond a responsive website, the city has taken a fresh look at Web content to make it easier to find, and boosted its online self-service offerings, which will soon include mobile bus passes, online public records requests and recreation league signups. Use of its 311 app has grown rapidly since its 2013 launch, according to the city. A recently concluded business process innovation program is ushering in a full slate of technology upgrades impacting several service areas: budget, accounting, financials, human resources, treasury and procurement. Key processes have been automated, leaving the city far less dependent on manual paper processes. The city has also benefited from community partnerships, like the one with Code4Abq, the local Code for America brigade. In addition, the city is working with the University of New Mexico, Albuquerque Web Geeks and the state of New Mexico to develop apps and otherwise foster interest in open data. 6th place // City of Riverside, Calif. In July 2014, sixth-place finisher Riverside launched its Engage Riverside transparency site, which moves past merely presenting raw city data sets. The portal also serves up city information via infographics, dashboards, interactive visualizations, maps and video. The site has logged more than 540,000 page views since its debut. And there are many paths for Riverside’s mobile citizenry to engage with the city. Mobile devices account for 45 percent of traffic to the main city website, and more than 88,000 followers stay up-to-date with their city via 40 social media groups, channels and feeds. Email notifications provide another vital city-citizen link, with 13.85 million email notifications sent to more than 150,000 subscribers in 2014. Riverside IT projects are now tracked in SharePoint via a project management system called The Hive, a collaborative environment that allows stakeholders to store documents, get detailed status updates and keep apprised of outstanding tasks on a project. The city also added a chief information security officer to its ranks in 2015, and to date has trained more than 1,300 employees on cybersecurity awareness. Other security pursuits underway include endpoint hardening, deployment of a Web app firewall and use of a security information and event management system. 7th place // City and County of Denver, Colo.
Denver cites its new pocketgov.com app as an integral piece of the city's customer experience program, an all-encompassing effort to engage citizens through digital means. The tool offers 311 app functionality, while also letting residents make payments, sign up for service reminders, find property values and more. Officials project $250,000 in annual savings from the app by replacing customer service calls with clicks. Denver’s Peak Performance initiative enlists city staff as front-line innovators, to date training 30 percent of the workforce to look for new ways to improve operations. The effort is getting results: Denver reports that more than 1,000 innovations have saved it more than $9 million. The city is also seeing fewer financial records requests given the nearly 200 data sets now available on its open data catalog. In addition, Denver’s Internet Edge project boosts redundant connectivity options by using multiple carriers, increasing throughput from 2 Gbps to as much as 20 Gbps. Over the next few years, the city is planning several additional tech improvements, including an internal network upgrade to 40 gigabits, as well as continued consolidation of services and applications in the cloud. 8th place // City of Sacramento, Calif.
Sacramento’s Digital Strategy continues to provide an excellent foundation for moving the city forward. 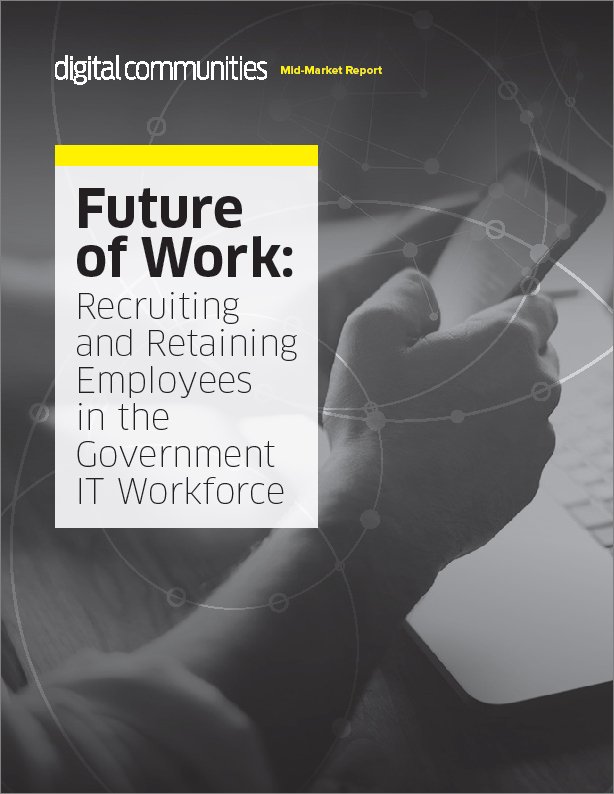 The framework for delivering tech services is a prioritized multiyear action plan based on more than 150 hours of interviews with numerous stakeholders. The city took fifth place in this year’s Best of the Web awards for its portal, which was re-engineered over three phases and completed in the first quarter of 2015. A new CMS has reduced by 90 percent the time it takes for Web content to be updated. In another initiative to connect with the community, the police department partnered with Nextdoor to help combat crime and post safety alerts. Sacramento’s open data program is seen as a model for other jurisdictions. Its Open Data Portal is a collaborative effort across city departments that ranked seventh in 2014 by the U.S. Open City Data Census. Additional digital initiatives include: upgrading cellular data connectivity for ambulances from 3G to 4G to enable faster connectivity for mobile devices; installation of automated water meters as part of a statewide effort to protect the water supply; and transitioning the police department’s interview rooms to an in-car camera digital management system, enabling faster and more secure networked video delivery. 9th place // City of Charlotte, N.C. The city of 800,000 people is enhancing its tech infrastructure and policies to create a foundation for the future and enable more e-services internally and for the public. Charlotte’s data-driven Community Investment Plan aims to create jobs and grow the tax base; leverage public and private investment; enhance public safety and transportation choices; ensure housing diversity; and provide integrated neighborhood improvements. A new dashboard leverages more than 200 data sets to provide the plan’s four teams with a quick understanding of conditions in their areas, helping to determine community investment strategies. An open data portal and policy help to increase transparency, civic engagement and economic development. A technology standardization procedure has matured, with several standards being approved in the last year to guide investments for desktop and mobile computing. The Quality of Life Explorer dashboard — which combines 82 variables from more than 42 sources — tracks trends at the neighborhood level, providing both policymakers and residents with a foundation for identifying and understanding local issues. As the city implements body-worn cameras for its 1,400 patrol officers, it’s working to deploy a digital evidence management system to act as a single location to store and retrieve data related to criminal cases. 9th place // City of Greensboro, N.C.
Greensboro is working to become one of North Carolina’s next gigabit cities. The Municipal Broadband Initiative will leverage dark fiber to connect the city’s resources to local schools and universities as well as neighboring jurisdictions. In addition, Greensboro may enter into a public-private partnership to build out a broadband network to deliver affordable, high-speed Internet access to its residents. Real-time tracking of fire equipment is enabling the closest apparatus to respond to an incident, instead of the historical method of response being sent from the closest fire station. On-board mobile computers track the location of fire vehicles, allowing the 911 center to dispatch the vehicle with the fastest arrival time. The police department also is leveraging mobile tech via an app, MyPD, which boasts approximately 40 features including crime mapping and the ability to contact the department. The city’s cybersecurity program includes a regional threat intelligence sharing initiative through which it shares information with neighboring entities so they can keep their systems safe. In addition, a cloud-hosted ERP system was implemented last year and allows the city to invest the savings into newer technologies. 9th place // City of Long Beach, Calif.
California’s seventh-largest city is focusing on innovation and technology to empower citizens with new tools and meet modern challenges. One aspect of this is working with the local startup community through city and community events while also participating with Code for America and recently being awarded a Bloomberg Philanthropies Innovation Team grant to focus on business incubation. Long Beach recently went live with a new, responsive portal, which consolidated 4,000 pages of information down to 2,500. As part of its move toward openness, the city has launched an open data site and is working on finalizing an open data policy. Along this line of thinking, the position of virtual data officer will be created to crowdsource data sets that are most useful to the community. Partnerships are at the heart of many of Austin’s IT initiatives, both internally and externally. For example, the Infrastructure Management, Mapping, Planning and Coordination Tool is used by operational departments to display on maps potential conflicts or opportunities for collaboration on projects like road maintenance or water pipeline work. In addition, the city partners with the community through hackathons, which are heavily focused on how to take projects to the next level after the event is over. The GivePulse.com tool has been integrated into Austin’s portal, helping to connect residents with volunteer opportunities. This year the site has tracked more than 30,000 hours of volunteer work contributing to city programs and services. And the city is aiming to turn its open data focus from an initiative into part of Austin’s culture. Departments are identifying open data leaders and making new information available to the public, while also updating previously published data. A new 311 app is increasing community engagement and increasing the efficiency of city operations. 1st place // City of Alexandria, Va. The city of Alexandria, population 150,000, has come a long way since the 2014 Digital Cities Survey, moving up from ninth place to take top honors in its population category this year. And it’s easy to see why. Over the last year, Alexandria has worked diligently on a 10-gigabit broadband upgrade that will serve the city's growing needs for the next five years. Its new Forensic Analysis Across the Wire program helps capture workstation data covertly across the internal network and bring it back for analysis. New software allows the capture of whole drive images remotely, importing the data for further investigation. The city also recently replaced its aging computer aided dispatch (CAD) system with new systems that meet the requirements of the police, fire, emergency communications and sheriffs' departments. The CAD interfaces with police and fire records management systems to support tactical on-scene decisions. Through a multidepartment collaboration, the city also launched ParkLink, an interactive GIS-based “parks and amenities finder” that combines all of Alexandria’s publicly accessible open spaces into a single application. In addition to helping residents and visitors locate the nearest park, the app includes an extensive list of searchable amenities like playgrounds, swimming pools and dog parks. And Alexandria’s cloud-based website backup solution stood out to Digital Cities judges as well. To keep the city’s main website online, it maintains a “static” mirror image of the site on cloud storage that keeps the site up during potential service disruptions, including storage infrastructure problems, networking outages and extreme traffic increases. 2nd place // City of Rancho Cucamonga, Calif. The Southern California city of Rancho Cucamonga knows what matters to its citizens — their pets. The city uses its @LostRCPets Twitter account to give real-time updates about lost (and found) pets, and a dedicated Facebook page to encourage the care and adoption of animals. Civic engagement is a high priority, as proven by the city’s Tax Measure Information, which serves as a communication hub for information about how parks, trails and street lights are funded. And the Rate Calculator is a unique transparency tool for measures on the ballot in November. The Rancho Cucamonga Fire Department has enlisted data analytics as a main component of its Community Risk Reduction Initiative, under which a risk analysis tool drives decision-making about the deployment of services and program implementation. And in 2012, the city began work on a business plan to provide GIS services to public agencies through a shared services model and the Rancho Cucamonga Enterprise GIS (REGIS) Connect was created. The REGIS staff helps its first client, the town of Yountville, by providing technical support and training that its employees can use to build capacity of their own. Judges also took note of the City Manager's Executive Dashboard, which gives a snapshot of Rancho Cucamonga's key operations: police, fire, public works and automatic vehicle location, as well as quick access to disaster incident management and permit and land development information. 3rd place // City of Augusta, Ga.
Augusta government collects taxes from more than 195,000 citizens and is using technology to tighten transparency and financial accountability efforts. In addition to a website dedicated to the city’s participation in the Transportation Investment Act and another about the Special Purpose Local Option Sales Tax, Augusta also offers general information about its budget on the Your Money site, which includes links to all city budget tracking tools, including a beta BudgetWatch application that compares budgeted funds to actual expenditures. And through a new CityView Public Portal, those who register can apply for three different permits online and search for scheduled inspections. The Planning and Development Department’s launch page has adopted a more vendor-friendly stance in order to give easier access to customers. Augusta also completed a new IT building in 2015, complete with a new data center that incorporates modern technology, enhanced security and energy management. 3rd place // City of Fort Collins, Colo.
Over the past four years, Fort Collins has worked to implement a SmartGrid system that placed smart electric and water meters in the city's homes and businesses. It is hoped that the Peak Partners energy conservation program will ease the use of electricity during times of peak consumption, which it does, in part, by participants allowing officials to remotely manage their heating or cooling systems during these times. This is doable because all participants receive a Wi-Fi, mobile-device managed thermostat that's fully programmable. Thanks to the recently implemented PulsePoint app, which is integrated with the city’s Police Services Computer Aided Dispatch System, nearby citizens who have the app are alerted when a 911 call has been made and someone in their vicinity needs CPR or an automatic external defibrillator. And this past spring, Fort Collins received an award for exceptional customer service for the automation of utility service work orders through service-oriented architecture and collaboration between various utilities staff members and members of the city’s Web development team. According to the city, this recently implemented automation process, combined with the aforementioned advanced metering systems, ensures a more streamlined process and faster service for the customer. 4th place // City of Fayetteville, N.C.
Fayetteville strives to digitally engage and empower its citizens. The city's Fayetteville OutFront site invites residents to offer ideas and suggestions for improvements in programs and services, and also is a vehicle where residents can interact with each other and city staff about current issues. The Fayetteville Beautiful portal includes a user-friendly and interactive map that allows individuals, businesses, students, civic organizations and local government groups to sign up and adopt streets and/or parks to reduce litter and improve the city’s appearance. Fayetteville also acknowledges the importance of transparency and offers its Budget Chronicles website that exposes residents to the city's budgeting process. The site presents proposed and adopted budgets, budget presentations made before City Council, and answers questions about the most recent recommended budget. 4th place // City of Tacoma, Wash. When it came time for Tacoma to develop its 2015-2016 budget, officials opened up the process to make it collaborative, turning to digital tools to enhance community engagement, accountability and participation. The result was a balanced budget that will allow the city to maintain current levels of service — and an award-winning interactive budget development process according to the Government Finance Officers Association. Tacoma also has deployed a limited public pilot of a multi-city tax and license portal with three other Washington cities — Bellevue, Everett and Seattle — called FileLocal, which by year end will let business owners in all four cities renew business licenses and pay their annual business license fees, quarterly tax returns and annual tax returns online. And when Tacoma decided to tackle modernizing the city’s aging computing and digital storage infrastructure, the result was a multi-site, multi-tenant private cloud environment, a solution that saves taxpayer money, according to the city. Salt Lake City, population 189,000, strives constantly to inform, educate and engage its constituency. In fact, engagement is at the top of every department’s to-do list, and using technology — Open City Hall, WordPress, UserVoice, Facebook and YouTube, for example — is an integral part of their efforts. Another facet of citizen engagement is Salt Lake’s virtual 311, SLC Mobile, which allows the public to request services from any Web-connected device at any time of day or night. Also available online is the city’s Sustainability Metrics Dashboard, which includes a set of metrics on each item on the mayor’s Livability Agenda, focused on making Salt Lake City one of the greenest, most accessible, most inclusive and most economically viable municipalities in the country. 5th place // City of Winston-Salem, N.C.
Winston-Salem’s continued investment in technology has positioned the city to offer better service to its citizens and a more efficient workplace for its staff. By leveraging existing hardware, staff have access to a virtual desktop that offers a uniform work environment whether working from a tablet or one of the city’s older PCs. For staff, mobile office connectivity and the ability to rely on tablets and smartphones allows for more productive in-field work. To complement a mobile-friendly workflow, tools like GIS applications allow transportation staff members to monitor the quality of roadways while they travel their routes. The push toward cloud-based and on-premises solutions has greatly reduced the city’s reliance on paper-based file systems. Tools like a budgeting dashboard and capital project application allow users to access the latest information on the city’s cash flow or the more than 200 active projects. Winston-Salem's efforts are also complemented by the addition of fiber-optic cable, which is being connected to all city facilities. 6th place // City of Roseville, Calif.
Roseville is taking steps to improve quality of life for its citizens and staff through the implementation of new and useful technologies. A new open data portal is improving transparency and boosting civic engagement with the release of pertinent data sets. The adoption of Microsoft Office 365 will allow for better connectivity between employees and greater efficiency through the suite of tools. The city is also working to replace its legacy computer aided dispatch (CAD) and records management systems within the police and fire departments. The new systems allow the city’s first responders to function independently of the larger Placer County CAD system, while still maintaining the spirit of cooperation with its neighboring agencies. Roseville's 10-year Strategic Technology Rehabilitation plan, in its third year, brought a new focus to the replacement of the citywide phone network. And the replacement of the city’s content management system is upcoming under its e-Government Strategic Plan. 6th place // City of Springfield, Mo. Public input, collaboration with other local governments and new technology are all helping Springfield move into the future. With mobile-enabled tools like remote on-campus access to sewer plant controls and in-the-field water assessment mapping technology, the city has focused its efforts on boosting efficiencies within an increasingly mobile workforce. The Springfield Police Department has adopted a records management system (RMS) to standardize reporting requirements, allow officers in the field to access criminal records and history, and provide a shared RMS for the local Sheriff’s Office and the city of Republic. Officers are also leveraging mobile devices to FaceTime with medical professionals for mental health evaluations in the field. Springfield’s building development services and utilities department have eliminated the need for paper plans by moving to Avolve’s ProjectDox software, which lets developers submit electronic building plans for city review and approval. Looking ahead, the city plans to implement Microsoft Office 365 cloud-based systems, expanded employee cybersecurity trainings and digital document management. 7th place // City of Hampton, Va.
From how it manages personnel time to how the police department targets crime through open data, the city of Hampton is using digital tools to make local government more efficient. Hampton’s move toward cloud-based 311 systems has meant a better level of service for customers. During storms, the system is a valuable tool for the city to communicate with residents. The damage assessment mobile application has streamlined the post-disaster property damage assessment. With GIS-enabled, cloud-based technology, inspectors can quickly document damage and issue reports to the Federal Emergency Management Agency. A much-needed update to the city’s 911 system has increased reliability, allows for future expansion to next-generation 911 and supports features like text messaging. In the future, the city hopes to implement a mobile 311 application, introduce a computer lab for inmates at the jail, modernize phone systems and move its infrastructure to the cloud. 7th place // City of Scottsdale, Ariz.
Scottsdale's new mobile-responsive website isn’t the only thing earning the Southwestern city some IT attention. With efforts to improve regional public safety communications coming to a close, 25 local agencies within the Phoenix metropolitan area will soon be part of a unified governance and management structure. The change will mean better optimization of the region's radio systems and the potential to partner with other systems in the state. The city is also consolidating its public safety infrastructure. While the fire department will move toward the new cooperative authority, the police department will migrate its systems and applications to the city’s primary data center. The move will save money and reduce infrastructure complexities. A partnership between the fire department and the city’s IT department has resulted in improvements to the Electronic Patient Care Records process. The new system ensures patient engagement is accurately recorded electronically in real time. Moving forward, the city will be implementing Microsoft Office 365, staff will continue to improve Scottsdale’s cybersecurity stance, and the city will be pushing for greater financial and data transparency. 8th place // City of Durham, N.C.
With a focus on improving access to services for its residents, Durham is charting a course that includes an open data platform and continued investment in its IT infrastructure. As part of the Keeping the Lights On strategy, the city is moving toward updating and backing up its data center with funding for fiscal 2017. By leveraging cutting-edge infrastructure and cloud-based systems with preventative maintenance, the city hopes to enhance security and service to its citizens. In keeping with the goal of being a “well managed city,” Durham is focusing on an IT governance strategy that moves best value projects to the front of the queue. Under ongoing broadband initiatives, the city is working with partners like Google and AT&T to bring better Internet connectivity to residents and reduce the digital divide. The Durham One Call mobile service application is also helping constituents reach out to their local government. With options like request tracking, residents can make sure their request is handled in a timely fashion. 8th place // City of Fort Lauderdale, Fla.
Fort Lauderdale uses a suite of platforms and apps to improve financial transparency and engage residents in city decision-making processes. A financial transparency portal shares comprehensive fiscal data in a simple graphic format that can be searched by department, division and billing code. A property reporting site lets citizens search neighborhood boundaries, sanitation schedules, property tax assessments and sales histories, and the location of public works crews. And citizens can access live and archived video from City Commission meetings, as well as submit electronic comments about agenda items. Furthermore, a new five-year plan created by the city Information Technology Services Department aligns technology priorities with Fort Lauderdale’s long-term 2035 Vision Plan and 2018 Strategic Plan. 9th place // City of Tallahassee, Fla.
Tallahassee’s DigiTally app lets mobile users connect with city information and conduct a wide range of transactions. For instance, residents can report problems like potholes, graffiti and broken street lights, and track progress on repairs. They can also use the app to pay utility bills, track bus locations, report electrical outages and calculate property taxes. The app has been downloaded more than 12,000 times, the city says. An updated agreement between Tallahassee and surrounding Leon County will support a combined city/county portal for building permits, contractor licensing and inspection status data. And a new Public Safety Millage Calculator is helping to improve citizen understanding of a recent tax increase to support public safety. 10th place // City of Baton Rouge, La. Baton Rouge launched an open data portal — Open Data BR — in January that has quickly become a popular destination for citizens, receiving more than 100,000 page views in its first two weeks of operation. Data sets from the site have been used by civic hackers to create multiple crime tracking apps, the city says. Open data also is the foundation for a city-created GIS portal uses a combination of cloud-hosted technology and server-side Web services to provide authoritative map data that can be used by city decision-makers and citizens. And a recent redesign of the city’s 311 system simplified the service request process for citizens and streamlined workflow for employees. 1st place // City of Avondale, Ariz.
Avondale encompasses many of the key attributes of a digital city. Its move toward digital self-service permitting and development review has prompted a more efficient process for homeowners, businesses and developers. Through the Electronic Records and Search program, Avondale was able to implement new policies and procedures to help eliminate unnecessary data retention, data loss and improve access to all electronic assets. Following operational struggles with existing HR management systems, the city implemented a cloud-based system in late 2014. The city also developed and launched a business resumption strategy to better mitigate the effects of a disaster situation. This effort resulted in an active backup environment, housed in another state, and a maximum four-hour recovery time. The city is also taking an active role in cybersecurity through cooperative efforts with local, federal and private partners. As part of the Arizona Cyber Threat Response Alliance, select city staff members receive regular briefings on major security threats. 2nd place // City of Boulder, Colo. The city of Boulder is working to phase out several legacy enterprise systems and replace them with newer, more effective platforms. Under the Transform Boulder Business Initiative, the city has implemented an integrated enterprise resource planning system and will soon roll out a citizen access portal. The new addition will enable citizens to better interact with the city and do business online. Efforts are also underway to update the city’s land management and permitting system. Once completed, the streamlined system will allow for an online virtual service center and electronic plan review process. Boulder is also pushing to incorporate several responsive GIS Web applications. The efforts would garner tools like a development page, where citizens could find information about ongoing or planned projects throughout the city. Voters approved a ballot measure to exempt the city from state laws limiting competition with broadband providers. This allowed Boulder to pursue plans to install free Wi-Fi in public spaces. 2nd place // City of Roanoke, Va. When it comes to leveraging technology to the advantage of local government, Roanoke is taking a leadership role. With a substantial in-house modernization of its mainframe system this year, the municipality is looking forward to considerable savings of nearly $3 million over the next five years. The city’s cloud-based citizen request management system has helped staff respond more rapidly and offers a host of analytics and business tools. Public safety is also seeing the benefits of efforts to maximize technology in the form of an improved regional public safety radio system and the Law Enforcement Information Exchange (LInX) system. LInX allows officers in the field to quickly and easily look up information about individuals and vehicles from other jurisdictions. Ongoing efforts under the Roanoke Valley Broadband Authority will soon bring a 46-mile network to the cities of Salem and Roanoke. The broadband network will serve as a competitively priced Internet service option for residents. An emphasis on technology has made the city of Richardson a more accessible local government. In line with the city’s 10-year comprehensive IT plan, launched this year, the city now provides an open data portal with GIS data sets on transportation, the environment and land use. Similarly an interactive rental reporting map shows the position of homes being used as rental units and allows residents and homeowners associations to monitor potential problem locations and rental openings. The system also allows for rental registration and code compliance fees to be paid through the e-commerce portal. The city has implemented a Supervisory Control and Data Acquisition (SCADA) system, which moves from older PCs and radio communications to a virtualized, fiber-optic and Ethernet system. The system is used to remotely control Richardson’s water and sewer infrastructure. Richardson’s establishment of a transparency portal to track 2010 bond projects, debt and budget documents, credit card purchasing and other financial information has earned the city a platinum rating by the Texas comptroller for the last five years. 4th place // City of Ann Arbor, Mich. The push for a user-friendly, transparent government is at the top of Ann Arbor's list of priorities. A focus on self-service through the city’s website and tools like A2 Fix It, a public service request portal, help citizens access government services and information. In addition to these options, residents can access financial and budgetary data shared through online portals. Enhancements made this year allow for curious citizens to drill down into city spending for greater detail. Projects like the standardization of business processes and automation of the city’s "budget book" are improving the accuracy of financial information both publicly and in-house. The redesign of Ann Arbor's intranet system, A2Central, has greatly improved navigability since the system's inception in the late 1990s. Looking toward the future and the Internet of Things, the city is plotting a course to leverage the sensors and connected vehicle applications for improved mobility and safety for drivers and pedestrians. In an effort to make Davenport a player in the global economy, city leaders have put a strong focus on the need for reliable, efficient and expandable technological infrastructure. From the city-owned fiber-optic network, which has netted savings of more than a half-million dollars since its implementation, to the creation of an open government portal, the city is well positioned to build upon its successes. Under plans to streamline Davenport’s workforce management system, officials have been working to automate processes for better data collection, asset management and staff resource management. The newly implemented cloud-based, mobile work order management system integrates directly into the city’s extensive GIS for real-time asset control. City staff are also taking advantage of virtualization, which reduces costs by eliminating the need to purchase new equipment, improves reliability and adds security. The push to open data as part of a more transparent, responsive government is also gaining traction. City records are continually being digitized and the Open Checkbook tool offers citizens a look at all of Davenport’s finances. Thirty minutes southwest of Houston is the city of Sugar Land — where data is a pretty big deal. At the city’s airport, aircraft can send diagnostic information from the ramp and wirelessly update their flight plans and data. Tech enhancements to the city’s Municipal Emergency Medical Services include a mobile app used to collect patient care information either inside the ambulance or at the patient’s location. That data is then securely transmitted to HIPAA-compliant cloud storage, and authorized staff can access patient care reports. Perhaps more impressive is Rescue Net Link, which provides a real-time connection between the ambulance and hospital emergency room so that when a patient is en route, paramedics can designate to which ER they are headed. The ER will receive an alert, relevant patient care information and an estimated time of arrival. The city’s Capital Improvement Projects map gives users all data relevant to the status of in-progress, completed or developing projects. And Sugar Land’s departments of Public Works and Utilities have deployed cloud-based software that monitors construction sites and provides progress of construction through the use of webcams. This tool provides greater transparency, saves stakeholders hours from having to visit and inspect the actual site, and the dated photos provide a permanent photographic record of a project from start to finish. 5th place // City of Westminster, Colo.
Security is serious business in Westminster. Over the last few years, the IT Department initiated and completed an upgrade of the city's supervisory control and data acquisition network that not only increases productivity by giving operators remote access to the network, but also achieves the security needed to protect the quality and availability of the public water supply. An enterprise wireless upgrade completed in 2015 gives city employees secure wireless Internet access on their personal devices using a unique login and password. And in 2014, Westminster initiated a mandatory end-user security training program for all permanent employees. Database consolidation is improving data availability, accuracy, integrity, security and standardization. The consolidation initiative also will reduce licensing requirements and allow for easier database and server management. 6th place // City of Brooklyn Park, Minn.
Brooklyn Park, just a 20-minute drive from Minneapolis, makes the most of GIS. The city’s Get Up and Geo open mapping platform offers more than 40 up-to-date city GIS data sets, and the portal also is connected to another 60 online map layers from county, regional, state and national agencies. Residents and businesses can use the tool to create maps that give them better understanding of their community. For instance, the Garage Sale GIS map offers a unique solution to issues encountered with the annual Citywide Garage Sale. Participants previously used paper maps to navigate the event, but this year the city paired two online maps with the paper maps to help residents see who around them was having a garage sale, find items they wanted to purchase and navigate to their preferred sales. Response to the new maps was overwhelmingly positive. Brooklyn Park also offers an anonymous tip line. Tip411 lets residents give the police department information about issues like neighbor problems and drug activity, as well as major crimes. The service also makes it easy for the police department to keep residents informed on events or happenings. 6th place // City of Lynchburg, Va. In Lynchburg, IT aligns with and supports overall policy goals and priorities. The city’s “Twelve Pillars” provide a framework for organizing and communicating strategies, conveying that these are the foundation for Lynchburg’s future success. Wherever possible, strategies and actions are data-driven, supported by IT services, and appropriate measures or indicators reflect progress. Judges found the IT Service Management strategy to be well thought out and practical for delivering results. The strategy is essentially the implementation of new ITIL (Information Technology Infrastructure Library)-based policies for managing incidents and service requests, among other items. To support these new policies and processes, the city implemented a service management tool that gives a consolidated view and dashboard of all activity, including customer satisfaction metrics. And in 2015, Lynchburg went live with a new disaster recovery plan and planning tool called OpsPlanner, which is integrated into the city’s operations Configuration Management Database (CMDB). The database now contains a real-time inventory of all critical data center assets. 7th place // City of Columbia, Mo. Citizen engagement is important to Columbia, which sought to adopt innovative ways to involve all residents, and improve services based on community values, priorities and expectations. Judges found The Speak Up Como program Web and mobile site easy to use and navigate by citizens looking to communicate feedback and receive information. Judges also were favorably impressed by the transparency of the city's utility data and its performance dashboard, where officials continuously measure, monitor and benchmark city performance against international peers. Columbia also is participating in a nationwide competition to see who can reduce the most energy – and do it in an innovative way. The CoMo Energy Challenge community map shows how each neighborhood uses energy and how it compares to other areas of the city. Also of note is cITySOFT, a software sharing project that encourages government entities to collaborate to solve common problems. Columbia released its first shareable software application – CPD K9 – that is used to track individual canine use and training for public safety agencies. 8th place // City of Bloomington, Ind. In Bloomington, a city of about 80,000, apps are cause to celebrate. Judges in this year's Digital Cities Survey found its GeoReporter 311 app, which can connect to any standards-compliant Open311 endpoint, impressive and easy to use. And with the source code freely available on GitHub, any city can deploy its own version of the app. Judges also took note of Bloomington’s Transit Bus Tracking app, a live bus mapping solution created by a partnership between the Indiana University Bus Service and intelligent transportation solution provider DoubleMap. Of particular note is the city’s outstanding public service when it comes to housing rentals: RentRocket is a sustainable rental housing tool that lets users see and compare not only basic amenities, but also utility costs, accessibility to alternative modes of transit and recycling options to make housing decisions that align with their values and fit their budgets. Thanks to an Innovation Fund grant from the Urban Sustainability Directors Network and Global Philanthropy Partnership, RentRocket was born. Bloomington leads the project in partnership with 13 other cities. 9th place // City of Lake Forest, Calif. The city of 80,000 people is using tech to create a 24/7 City Hall and its redesigned website, built with responsive design, is helping make that a reality with its functional and easy-to-use layout. A public Wi-Fi initiative brings Internet access to three city facilities including the Lake Forest Sports Park and Recreation Center, which was built with technology in mind. The center’s technology projects include a network data center that connects via VPN to City Hall and a CCTV system that can be monitored onsite and remotely. The city’s economic development business tools, like lakeforestbusiness.com, provide informative and functional resources for current and prospective business owners. 10th place // City of Independence, Mo. Independence aims to invest in technology to increase operational efficiencies and enhance citizen engagement. This is evidenced by its new portal, which was designed in-house and unveiled earlier this year. The site has already received honors — it took first place in the city category in the Center for Digital Government’s 2015 Best of the Web awards. Internally, Independence is implementing an enterprisewide asset and work management platform that will replace up to 10 legacy systems. The use of Cityworks will allow employees to work more efficiently from the field by enabling the use of mobile devices to update information remotely. In addition, an enterprise content management system, implemented in 2011, is enabling information dating back to the 1960s to be searchable and easily accessed. The Laserfiche system is helping departments like purchasing and health scan physical documents into electronic form, enabling searchability and the move toward paperless work processes. The city also is replacing and expanding its Wi-Fi infrastructure to create a more mobile workforce and offering public Internet access where it’s appropriate. 10th place // City of San Leandro, Calif. Located in the Bay Area, San Leandro is working to be competitive with nearby tech hubs like San Francisco and Silicon Valley. A public-private partnership, called Lit San Leandro, harnesses an 11-mile fiber-optic ring to provide businesses with gigabit-speed Internet access and helps the city recruit tech firms. And free public Wi-Fi is available in the city’s downtown core area. The civic engagement tool Virtual City Hall allows the city to directly ask residents questions and discuss important topics like priorities for the budget. In addition, the Nextdoor platform is used for direct communication with residents in the more than 28 neighborhoods that are currently participating on the site. Cloud-based systems are streamlining work both internally and externally. A new online permitting platform went live in February and features integrated PayPal Payflow payment options. In addition, an IT service management platform has helped modernize internal processes and features a service catalog with automated processes for actions like new hire functions and GIS requests. San Leandro also is working on numerous public safety initiatives including body-worn cameras, replacing squad car laptops with tablets and integrating with the statewide Smart Justice system. 1st place // City of Shawnee, Kan.
Top honors in the small city population category go to Shawnee, which launched a new CRM system, Shawnee Connect, in August 2015. The Web page/mobile app provides quick access to service requests in 19 categories, as well as a wealth of other municipal information. The city plans to build on the 11 e-government applications it currently offers with the second phase of Shawnee Connect, envisioned as a portal where businesses and residents alike can do their city business via one centralized app. Shawnee has also gone to great lengths to align financial decisions with community priorities via its Priority-Based Budgeting process. Nine IT programs included in the process all ranked as highly relevant to the organization, resulting in significant budget increases between 2014 and 2016. The Shawnee Municipal Court is one of the first in Kansas to go paperless, allowing electronic check-ins, real-time case file processing and more efficient online records searches. The city has also successfully implemented time-saving digital e-ticketing for law enforcement officers, as well as a virtualization project involving 75 servers and 250 desktops. 2nd place // City of Fayetteville, Ark. Second-place winner Fayetteville may be in the smallest city population category, but its digital practices rival many of its big-city counterparts. A recent migration to a new content management system from CivicPlus puts analytics at the forefront, prioritizing the most popular information and the most accessed transactions on the Fayetteville website. Citizens are offered a personalized experience on the My Fayetteville Services site, where GIS is used to pinpoint location-based services, such as local schools, recycling/trash pickup day, parks, libraries and hospitals. On tap for the city is a new ERP that will better serve its financial software needs. A comprehensive RFP committee came together to select a new vendor that can provide self-service options to more efficiently serve the community, including University of Arkansas students who account for a large percentage of changes to utility billing accounts. Other upgrades include a recent deployment of Microsoft Office 365 and the expansion of a server virtualization program that will affect 90 percent of all server infrastructure. 3rd place // City of Santa Cruz, Calif.
Santa Cruz’s IT plans are now aligned with city priorities, a fairly new development after some recent restructuring resulting in IT’s status as a stand-alone department being restored. Under CIO Laura Schmidt, the first IT annual report was issued in May 2014, in conjunction with an IT funding model and an Information Technology Advisory Team that meets bimonthly to help prioritize upcoming projects. A mobile parking app for visitors and residents of this California beach town simplifies payment, incorporates alerts when time is about to run out and allows patrons to feed meters remotely. Transparency efforts include a crime app that enables citizen reporting, maps crime in the city and links to supporting data, social media accounts and the SCPD’s most wanted, while the Open Counter online tool streamlines business registration with a guided process that pulls relevant planning and finance data along the way. To further its broadband ambitions, Santa Cruz is also looking at the feasibility of a gigabit fiber network through a public-private partnership. 3rd place // Village of Schaumburg, Ill. Third-place Schaumburg developed many of its digital tools in-house, including a transparency application offering interested citizens a look at information like employee compensation, village revenues and expenses, and water usage and billing data. City staff also developed a 311-style app that allows for electronic filing of issues and service requests. A text option helps hearing impaired residents communicate their service requests to city staff as well, around the clock. Dashboards allow departments to keep tabs on their performance, offering both high-level and granular views of customer requests. Citizens can also use a secure, custom-built Web app to pay for a number of city services. Schaumburg’s reliance on cloud-based apps for core services like email and ERP, as well as its movement toward virtual desktop infrastructure, led it to secure a redundant Internet connection to primary village facilities. A metro Ethernet connection now backs up the city's direct fiber connection, better protecting it in the event of a service disruption. 4th place // City of Palo Alto, Calif.
Aspiring hosts of city apps challenges that need some guidance need look no further than Palo Alto. It literally wrote the book. A longtime digital leader, with a first place win in 2013 and a second place win in 2014, this year’s fourth-place Digital City in the smallest population category, Palo Alto has published an Apps Challenge Playbook online in an effort to share its wisdom. Other cities are also paying attention to the Palo Alto Police Department’s use of social media. These communications channels are relied upon by local media and citizens alike due to the timeliness, accuracy and thoroughness of messages. Known for lightning fast responses to public posts, pages use a consistent voice to engage the public and dispel rumors about incidents in the city. Palo Alto now uses cloud-based DocuSign technology to transition paper-based workflows to digital, improving transparency and cutting down on contract turnaround time, which has gone from 14 days to five days. The city has also made more service types available via its 311 app, refreshed its open data portal and implemented a hybrid cloud backup solution for its data center. Rounding out its digital endeavors this year was the opening of Palo Alto’s Civic Technology Center. Home to the IT department, the startup-inspired space also hosts civic tech events that encourage collaboration between entrepreneurs and city staff working on issues of mutual concern. 4th place // City of Tamarac, Fla.
As evidence of its commitment to transparency, Tamarac has partnered with OpenGov to make detailed financial information readily available on an interactive Web portal. The city of roughly 63,000 reports that approximately one-quarter of its citizens have opted in to city email and text communications, using easy-to-access tools like News Flash, NotifyMe and CivicSend. A city social media policy provides guidelines for staff who play a role in using these official communication channels, as well as employee use of social media on personal time that may impact their job. In addition, Tamarac’s commitment to automation and reduced reliance on paper processes can be seen in its streamlined online agenda process, online permitting and electronic plan review, and its use of the SeamlessDocs Web application that lets citizens complete and sign documents electronically. The city has also begun moving toward the cloud: a Microsoft Office 365 deployment is underway, Microsoft Azure hosts backup storage, and the city website and performance management system also utilize hosted services. An ERP upgrade is in the works as well, which promises to enhance Web-based access to core IT functionality. 5th place // Town of Marana, Ariz.
Fifth-place Marana is focused on a mobile future, working over the past year on a streamlined, mobile-friendly website, and developing the infrastructure to support new internal and external-facing mobile apps. Its API project will enable the town to more easily bring data to life with dashboards and visualizations — tools it will use to introduce a new financial dashboard later this year. The town's app capabilities are already being put to use in the fast-tracked construction of a new outlet mall, which paired IT staff with building inspectors to speed contractor site inspections. The team developed an app with features like a one-click inspection request and a quick permit lookup that is proving helpful in keeping the project on track. The town plans to add additional features and provide access to all contractors doing business in Marana. Another app developed by town staff speeds the process of well site inspections by making it simpler to document inspection results. An updated My Marana app is also in the works, adding town branding to traditional 311 reporting functions, city links, GIS maps and utility payment options. In all of its app pursuits, Marana uses Amazon Web Services in the cloud, allowing staff members to focus their energy on app development rather than infrastructure. 5th place // City of Rancho Cordova, Calif. The 12-year-old city of 67,000 people uses technology to promote transparency, accountability and communication. In February the Rancho Cordova City Council passed a resolution endorsing the principles of open and accessible standards for data, enabling information to be shared with the public. Open data initiatives include a budget dashboard and the release of data sets related to public safety and economic development. The LEED-certified City Hall and police facility have enlisted numerous technologies to be energy efficient and environmentally friendly, including an integrated HVAC system and an Internet-connected sprinkler system that operates according to the weather forecast. A recently launched public safety program installed digital surveillance cameras in two residential areas and one business area to provide officers with live views of public areas. The cameras were deployed in May and are credited with reducing crime by 6 percent in the first three months. And the city has proven that its technology infrastructure can be relied upon: In the last three years, the network has had fewer than 100 minutes of unscheduled downtime. 6th place // City of Albany, Ore.
Albany promotes transparency via numerous platforms including dashboards for its budget and expenditures and strategic plan scorecards that provide an easy way to track measurements of yearly objectives like running an effective government. In addition, a Crime Analysis Reports and Mapping tool allows residents to see what’s occurring in their neighborhoods and search current crime statistics. Citizen engagement is encouraged through different methods including social media, an e-newsletter and apps like Goodsnitch. A recently implemented electronic plan review program is streamlining processes internally and for contractors and others who must get building plans approved by the city. 7th place // City of Manassas, Va.
Home to 40,000 people, Manassas embraces the idea of 24/7 government through its website, social media presence and public-facing apps. For example, the curbside services Web app provides information about programs like recycling pickup based on the user’s address. The app started with leaf collection schedule information but was so popular it grew to include other services. The Historical Sites Map Tour is another Web app that aims to be an informative resource for the public. A citizen request tracking tool, called 311GIS, allows for the reporting of nonemergency issues with the option of creating an account so the user can receive responses from the city. 7th place // City of Williamsburg, Va.
Williamsburg, with a population of 15,200, uses technology to engage with and inform residents and visitors, with tourism driving the local economy. The Williamsburg Wayfinder mobile app was launched four years ago and this year received a redesign of both its form and function. New features include the ability to help people find parking downtown and a GPS-driven shopping and dining guide to help users locate nearby options. The city also offers free, public Wi-Fi in its historic downtown area, with a refresh of the equipment taking place this year. In addition, it’s adding a public Wi-Fi network to the Arts District as an economic incentive for artists and visitors. Transparency initiatives include public-facing performance management dashboards as well as internal dashboards that employees use to track metrics and data. Williamsburg is also refreshing numerous aspects of its network infrastructure: replacing switching infrastructure, upgrading a key part of the fiber-optic network, implementing a network management system and upgrading security event and incident management capabilities. And the economic development office is getting a tech upgrade, transitioning from managing contracts using an Excel spreadsheet to implementing an economic development management system from Conrin on top of the Salesforce platform. Aiming to be one of the first gigabit cities in Ohio, Hudson, population 22,000, has laid out its plans to install a high-speed fiber-optic broadband network to benefit both businesses and residents. A 10-year broadband business plan was approved in March along with a five-year budget. Called Velocity Broadband, the initiative was scheduled to enter a pilot phase in September, with plans to add more businesses in early 2016, eventually connecting the entire community and offering residential service. The Notify Me portal allows residents to select what type of information they want to receive from the city, including emergency alerts and bid postings. In addition, a 311-style Web and mobile app provides an easy way for citizens to report nonemergency issues and allows people to submit information without creating an account. Open and transparent initiatives include a searchable database of meeting agendas, minutes and documents, as well as the ability to live-stream meetings or listen to podcasts of them. A mobile-friendly employee portal acts as a one-stop shop for staff to access HR resources and apps like payroll from the office or remotely. 9th place // City of Evanston, Ill.
Evanston proves that open data portals and innovative mobile services aren’t just for big cities. The community of just under 75,000 people recently launched openEvanston.org, which offers open data sets on pothole repairs, crime statistics, employee compensation, water main breakages, building permits and other city services. Users can export data in multiple formats – including Microsoft Excel and Google Docs – and embed the data on their own websites. Local developers can directly access the data to build apps and other tools. The city also launched an innovative mobile service that provides restaurant health inspection scores via text message. Diners text “RESTAURANT” to the city 311 Service, enter the name of a restaurant and receive the inspection score. The inspection score service is an expansion of text-to-311 capabilities launched by the city in 2014. 10th place // City of Goodyear, Ariz. Implementation of a citywide performance measurement program in Goodyear drove the creation of a new CityStat reporting system that captures key performance measures and provides multiple ways for city decision-makers to view data sets. Current performance for each measure can be compared to established targets to see how well city departments are meeting goals. A recently completed strategic action plan established the city’s overall vision and mission, and also identified strategic initiatives connected to that vision over the next three years. 10th place // City of Punta Gorda, Fla. The small community of Punta Gorda offers a wide range of online services. Citizens can pay utility bills, marina fees and other service charges through the city website. They can also apply electronically for building, planning and zoning permits. An online lookup feature lets residents check the licensing status of local businesses and contractors. The system also lets businesses and contractors apply for and renew licenses online. Information entered into the online system allowed the city to process annual business tax renewals automatically for the first time this year.